Our garage doors have always moved, it just required us to manually move them. This made it so we never parked the car in the garage since it was not easy to open the doors. 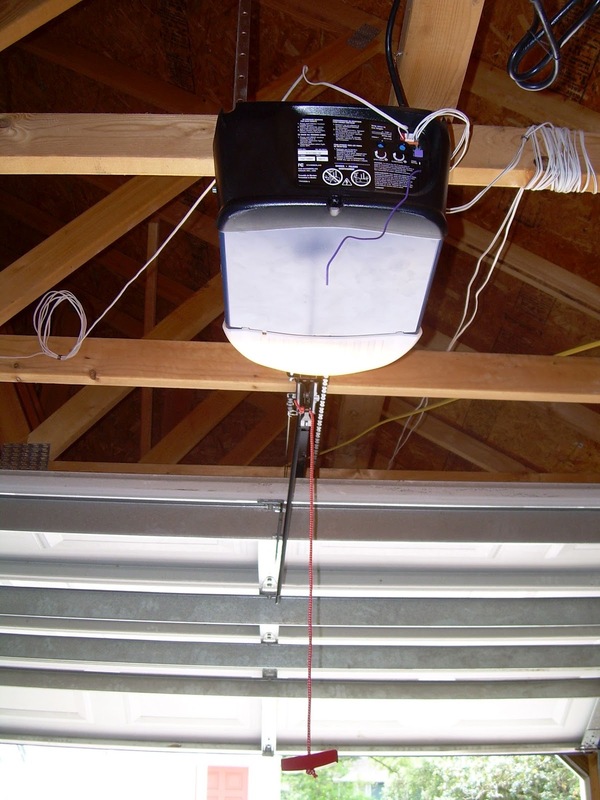 To make accessing the garage a little easier, we decided to install a garage door opener. We weren't thrilled with the idea of spending oodles of money on a nice new garage door opener so we first went the route of Craigslist. We ended up picking a pretty nice one up for $25 outside of Orlando. That is, it would have been nice if it had worked... which it didn't. Now, I know this is the risk you take when buying things on Craigslist, but I also believe that you have some bad karma coming your way if you repeatedly assure someone that something you're selling works and it doesn't. Since I wasn't going waste more money on another busted garage door opener, we decided to wait for a sale. 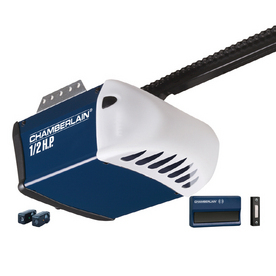 Back in November you may recall that we picked up a new garage door opener as part of the black Friday sale for a pretty decent discount. 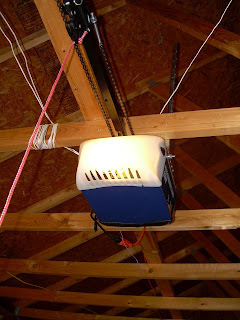 It sat in the garage through the holidays and then Nate got it installed in the first bay of our garage. We've been using it for a few months and we love it. It makes life so much easier when we are working on projects in the house and have to run out to get a tool or do laundry. We even put one of the buttons to open it in the house so we can stand at the backdoor and open and close it. This comes in super handy when it is raining and you want to make a mad dash to the garage. Unfortunately, we still aren't parking the car in the garage but the reason for that is not garage door related, it's mess related. We have some major organization plans for the garage but until then it's the place where tools go to get lost.